(KENDALLVILLE) - Police in Fort Wayne raided a hotel room and took the suspect in a Kendallville shooting into custody early this morning. According to WANE-TV, the raid happened at the Magnuson Hotel near Coliseum and Coldwater after 3 AM. 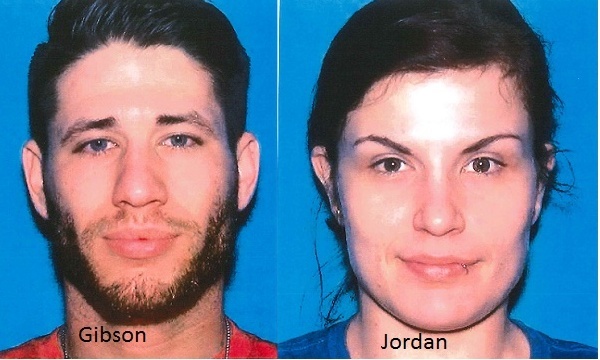 After failing to talk 27 year old Kyle Gibson of Kendallville out over a loudspeaker, the Fort Wayne Police Emergency Services team used a flash bang on the room and came out with Gibson and a woman believed to be 26 year old Alexis Jordan. Both Gibson and the woman were taken to the Kendallville Police, who received a report of shots fired near Main and Wayne Streets at 11:05 Monday night. While responding to that location another call came in from Parkview Noble Hospital saying a man with a gunshot wound was dropped off and left by two unknown persons. The victim, whose name is not being released, was transferred to a Fort Wayne hospital in critical condition. The shooting happened in a garage behind a residence in the 300 block of North Main Street.